Eu comecei a usar esta loção em 5 Março de 2013. Tenho fotos da evolução. I don’t see any difference, I hope they will give you your money back! Study rationale: Finesteride is often regarded as first-line treatment for male patients with androgenic alopecia (AGA). However, after several years of treatment, patients often reach a plateau. CG210 is a GMP-grade topical botanical blend that has clinically demonstrated its efficacy to reestablish regular A/T ratio (and hence normal hair cycle) in AGA sufferers within 44 days. Its unique clinically validated mechanisms of action are: preventing premature apoptosis of cells in hair follicles; reducing micro-inflammation in the scalp, and increasing collagen content. We would expect to get a beneficial effect when combining oral Finasteride 1 mg (acting on androgens) with topical CG210 (acting on apoptosis and micro-inflammation, two key factors causing hair loss). Hair diameter is an accurate clinical parameter for hair miniaturization (larger diameter=longer anagen phase=improved proportion of anagen vs telogen hair (A/T ratio)). An increase in hair diameter should also affect the cosmetic appearance and hair volume. Objective: To evaluate the clinical effect of the topical anti-hair loss CG210 vs placebo on hair diameter in Japanese AGA patients already using Finasteride 1 mg for >3 years. Study design: Randomized, double-blind, placebo-controlled, single-center, prospective, with two parallel groups. Group A: Topical placebo provided to nine male alopecia subjects already taking Finasteride 1 mg treatment for >3 years. Group B: Topical CG210 provided to seven male alopecia subjects already taking Finasteride 1 mg treatment for >3 years. Results: Mean diameter of hair in the Finesteride+topical CG210 group versus Finesteride+placebo group increased by 36.9%. No adverse events were observed. Conclusion: Application of topical CG210 in combination with Finasteride 1 mg demonstrated a statistically and clinically significant improvement in hair diameter and overall cosmetic appearance. Therefore, CG210 offers AGA sufferers an effective option to be used either alone to prevent and stop excessive hair loss or in combination with Finasteride to enhance patient outcome. apoptosis and micro-inflammation in the scalp. in “Finasteride 1 mg + topical placebo” group (p=0.002). No side effect was observed. to improve their hair pattern. Double-Blind, Placebo-Controlled Pilot Study. Hair Ther Transplant 3: 107.
hair follicles (smaller hair diameter), as well as AGA treatment efficacy. scalp hair follicles could stimulate hair growth [6,11]. demographic characteristics are given in (Table 1). synergic effect by combination of oral Finasteride with topical CG210. between 1.3 to 2 ml. side effect related to topical application of the lotion. analysis. The average hair diameter was scored in micrometer (μm). The procedure is summarized in (Figure 1, a-d). use and Hamilton classification of patients are described. Figure 1: Graphic illustrations for hair cutting and measurement. a: Schematic design showing cutting area on parietal region. b: Image showing the way how to cut hair for measurement. and the maximum range of hair diameter of the collected hair samples. d: Image showing hair measurement. hair diameter was 2.98μm, representing an augmentation of + 5.74%. that of Group B (oral Finasteride 1 mg + topical CG210)(p=0.002). was observed in Group B. The results are summarized in Table 2.
photographic documentation is shown in Figure 2.
use were observed during the 12-month trial duration. 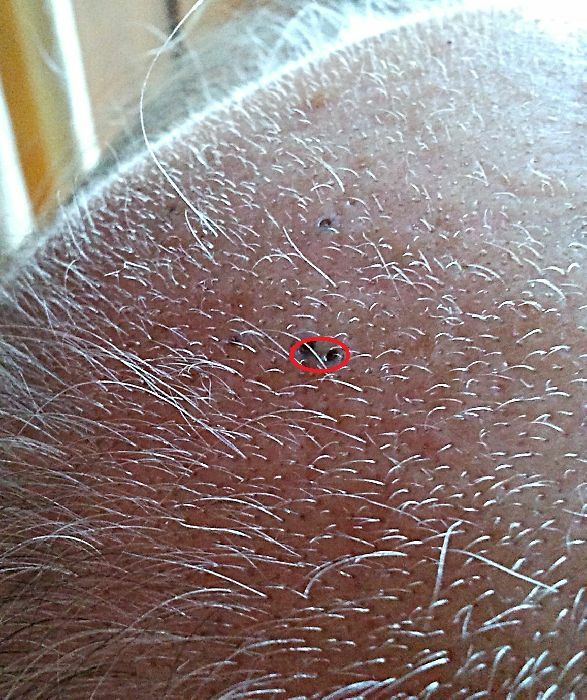 accurate clinical sign reflecting the status of hair follicle miniaturization. and for evaluation of the outcome following treatment. that largely contribute to excessive hair loss. the outcome from Group A differed significantly from that of Group B (p=0.002). “effect size” owing to finasteride-CG210 combination. reassuring safety profile that is consistent with the previous studies. cell death and promoted morphogenesis, but not tumorogenesis . conditions but without promoting uncontrolled cell proliferation. disorders. Berlin: Springer. 564 . Botchkareva NV, Ahluwalia G, Shander D (2006) Apoptosis in the hair follicle. J Invest Dermatol 126: 258-264. Lindner G, Botchkarev VA, Botchkareva NV, Ling G, van der Veen C, et al. alopecia. Skin Pharmacol 7: 84-89.
papilla cells. Skin Pharmacol Physiol 19: 311-321.
promotes human hair growth in vitro. Exp Dermatol 16: 936-945. Teraki Y, Shiohara T (1999) Apoptosis and the skin. Eur J Dermatol 9: 413-425.
chromosomal abnormalities in histologic subtypes of non-Hodgkin’s lymphoma. N Engl J Med 307: 1231-1236.
inducing nucleotide binding to Apaf-1. J Biol Chem 275: 31199-31203.
cells. Trends Immunol 31: 446-451. 3177 Japanese men with androgenetic alopecia. J Dermatol 39: 27-32. Price VH (1999) Treatment of hair loss. N Engl J Med 341: 964-973.
hair loss. J Am Acad Dermatol 59: 547-566.
research to clinical significance. Exp Dermatol 13 Suppl 4: 5-10.
and its treatment. Trends Mol Med 7: 293-301. Ahluwalia GS (2009) Cosmetic applications of laser & light-based systems. Personal care and cosmetic technology, Norwich, NY: William Andrew Inc.
is associated with androgenetic alopecia. J Invest Dermatol 128: 2268-2270.
two B? J Am Acad Dermatol 11: 921-926.
pattern baldness. J Invest Dermatol 92: 725-726.
pathology. (2nd edtn), Oxford: Oxford University Press. xxviii, 1005, New York . human mammary epithelial cells. J Cell Biol 129: 1363-1378. Soon I will put new pictures of progress with this lotion. In December I will change treatment and inform which product will include. It works so great he’s going to switch to another product. Contains an ingredient said to be superior to finasteride in 31%, being of vegetable origin. The product is very pleasant and easy of using. 100ml in bottle. It gives for 1/5 month using 1x day like recommended. Opportunely I will put image of the evolution. Do I see an evolution of the vellus with this new treatment, no? After to have ended with CG210 I began with Kaidax spray Tricoxidil. I have 20 days of use and notice good improvements in the regrowth. Soon I will give more news.